Race-Tec has continued to invest in their Non-Linear Finite Element Analysis package to allow for the simulation of Vibration Isolator’s and Shock Absorbers. Race-Tec can now offer custom designed AV components within a 4 week production lead time. Race-Tec material testing capabilities have been further extended allowing Dynamic Modulus Analysis [DMA] to be carried out on their materials, providing the Storage and Loss modulus on the compounds from 0.1Hz to 600Hz. Using Temperature Time Supposition a complete polynomial model of the material properties is established. Using MSc Marc Non-Linear Finite Element Analysis package, a 2D or 3D model of the proposed component is created, a mesh is applied and the polynomial material model from the DMA testing is imported and the simulation of isolator’s frequency response is completed. This enables Race-Tec to offer Harmonic Analysis based on the applications disturbing frequencies and provides a frequency response curve typically supplied as a transmissibility curve. When investigating a customer's requirements we recognise the need for a fast response and always aim to find a solution, provide the design proposals and quotations within just a few days. As part of our design process we welcome the opportunity to provide input into the handling of the component in terms of its assembly, removal, packaging and identification. All of our products are bespoke solutions either generated as part of the components original design, or solving a current problem. We have the capability to fully analyse existing problems with the use of FEA and/or dynamic testing depending on the availability of components and information. To enable us to work closely with our customers, sharing electronic data, our CAD software Autodesk Inventor suite has full 3D capability and is compatible for data exchange with most CAD systems. We have a number of CAE packages to aid the design of products, however, the most commonly used and most powerful package is our non-linear Finite Element Analysis. For this we use MSC's Marc software, supported by our own user subroutines to simulate wear etc. The physical properties of most elastomers change significantly with temperature, therefore, we always ensure our simulations use material properties that are as close as possible to the application operating conditions. Although these tools are mainly used for the development of our products, we have on many occasions supported new and existing customers by offering a design and FEA simulation service. We have a range of testing equipment to cover the physical testing of materials; metallic and elastomers, and for the dynamic testing of products. For elastomers we have a Wallace Micro (IRHD) and Wallace dead load (Shore A) for hardness, plus a Monsanto tensometer with a thermal cabinet for tensile tests. On the dynamic testing side, we have designed and manufactured our bespoke test rig capable of validating a wide range of rotary seals. Of its four test heads, two are used for high speed, and two for high pressure. The rig is fully computer controlled allowing programming of test cycles and logging of key data i.e. torque, temperature, speed, leakage. The high-speed heads can achieve a maximum speed 25,000 rpm, with a maximum fluid operating temperature of 150°C and the ability to apply pressure or vacuum. Whereas, the high pressure heads have a maximum speed of 3,000 rpm and pressure up to 160 bar. Both dynamic and static eccentricities can be accommodated. When a product is working without problems it is not uncommon for used components to be disposed of without taking the opportunity to evaluate them in their used condition. We encourage our customers to return used components at an early stage of development/testing for analysis. This helps us in the development of future products and also provides the customer with feedback and reassurance, avoiding long term problems. The same can of course be done for products that have shown problems. We have invested in various pieces of equipment allowing us to analyse dimensional and material properties. The flexible nature of elastomer products makes measurement using conventional contact equipment very difficult. To overcome this we have acquired the latest vision, non-contact co-ordinate-measuring machine. This uses video edge detection (VED) ensuring a repeatable result without relying on the skill of the operator. Hundreds of data points can be taken in an instant to calculate standard geometry features. The adjustable lens offers a magnification of 30 to 200 times. The lead-time for repeat orders is largely dependent on the availability of components, however, this rarely exceeds 4 weeks. For those special urgent projects, miracles can be achieved! We have the capacity to produce 150,000 seals per annum based on single piece manufacturing processes. For higher volume requirements multi-cavity tooling can be used. All of our manufacturing processes use modern computer controlled equipment, which are maintained through our planned preventative maintenance programme to ensure continuity of supply. Our normal manufacturing batches are 20 to 50 pieces, with a minimum order quantity of 10 pieces as set-up costs start to become prohibitive. However, if cost is not an issue we can offer batches down to single figure quantities.  Our Quality Management system is accredited to BSI ISO 9001:2008 by BSI for the design and manufacture of our products. Our aim is to supply to a zero defect through 100% inspection and continuous improvement of our processes. Our manufacturing and goods receiving controls ensure that every batch of product purchased or manufactured is given a unique batch number. All products sold are identified with our batch number on either the packaging label or marked directly onto the product. This gives us full traceability allowing the identification of which materials were used, who produced it and when it was produced. With many of the high technology industries like motorsport and aerospace requiring full batch traceability, with individual parts being marked with a unique serial number. We found it very difficult to find a reliable, local source for subcontract laser marking. For larger companies, producing high volumes it is easier to justify the expenditure. For us, customer satisfaction was our priority leading us to invest in our own laser marking equipment. We are able to offer laser marking on all material types, adding customer logos, part, batch, and serial numbers. Our equipment can handle products up to an approximate maximum size of 500mm x 250mm x 125mm, with a maximum marking area of 180mm x 180mm. In addition to marking our own products, we are also happy to offer a subcontract service for companies needing a laser marking service. Dependent on volumes, in most circumstances we can offer a very fast turn around. To ensure we continue to achieve our quality and delivery objectives we have a small supplier base with which we have excellent long established relationships. For each component type we purchase, we have multiple suppliers to ensure continuity of supply. The performance of our suppliers is monitored in terms of quality, delivery, cost, and offer the same level of support and flexibility as we expect to give our customers. If within your supplier management you wish for us to procure or deliver to your suppliers we will be happy to accommodate On time delivery your requests. We monitor our delivery performance as do many of our customers and we are pleased to say we achieve greater than 95% as an average and 100% with the majority. Typical of Motorsport there are many occasions when we are asked to achieve the impossible and supply a quantity of parts to keep our customers racing. On the more complex projects involving multiple suppliers we are happy to undertake the role of project manager during the design or to the supply of the finished product. If required, we are happy to extend our design knowledge beyond the sealing envelope and assist with the design of associated hardware, whether it be bearings, shafts etc leading to the design and supply of complete sub assemblies. As part of our group of engineering companies we have access to a wide range of products and production techniques. Throughout the life of our products we are always happy to offer support should you experience a problem. Due to the technical nature of the products our workforce has been selected for their engineering skills gained through tool making and their experience within the Polymer industry. The majority of our employees have been working in the Polymer Industry for over 20 years, providing us with a wealth of experience. the vigorous requirements of modern day motorsport.